144.4961 MINNESOTA RADON LICENSING ACT. 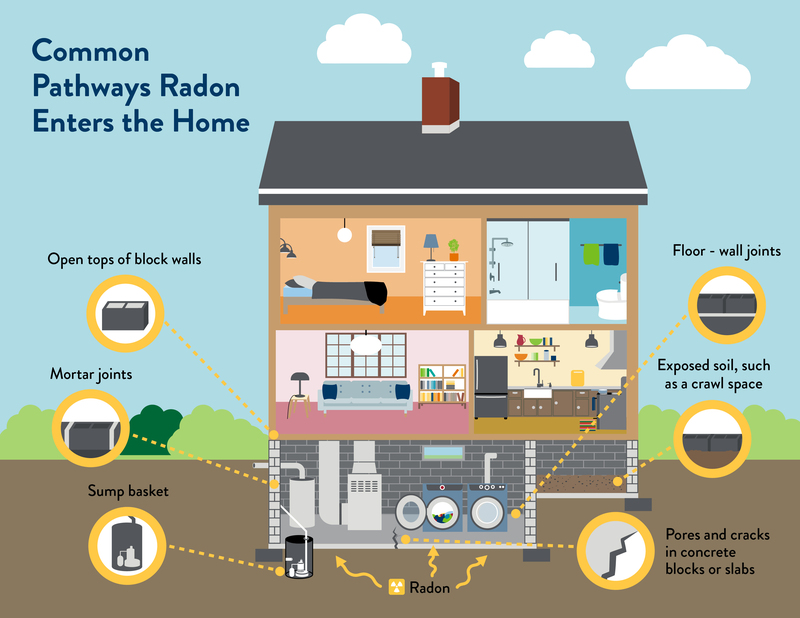 Effective January 1, 2019, a license is required annually for every person, firm, or corporation that performs a service for compensation to detect the presence of radon in the indoor atmosphere, performs laboratory analysis, or performs a service to mitigate radon in the indoor atmosphere. Due to the extensive amount of time, record keeping, and cost associated with this new law, Minnesota Home Inspectors LLC has partnered with Homefax Radon Services to provide all of our testing needs. Even though we are utilizing another vender's services, we will not be providing our client's contact information to Homefax. Therefore we are still able to ensure our client's information is protected. The following map shows radon tests performed by Minnesota Home Inspectors LLC from 2011 through 2018. It is the number one cause of lung cancer for non-smokers and the second leading cause of lung cancer in smokers. Your risk for lung cancer increases with higher levels of radon and longer periods of exposure. If you smoke, the combined risk of smoking and radon exposure is higher. Reducing smoking and radon exposure greatly reduces the lung cancer risk. * EPA Action Level. For the U.S. general population who are exposed to 4 pCi/L of radon over a lifetime, it is estimated that 23 out of 1,000 people will die from lung cancer due to the radon exposure. 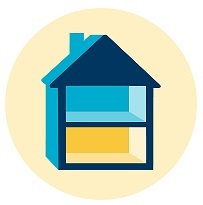 Radon levels are very low outdoors, but can accumulate to high concentrations in the home. This depends on radon levels in the soil, pathways for radon to enter the home, and the driving force. Air pressure differences between outside air and the inside air act to drive radon into the home. Some homes pull more radon into the home than others due to greater pressure differences available pathways. Source - High levels of radon are naturally found in Minnesota soils. Pathways - Routes the gas takes to enter the home, usually through openings between the soil and the home. These may include cracks in the concrete slab, floor-wall joints, an open sump pit or untreated crawl space, etc. Air pressure - Differences in air pressure between the home's interior and the soil can pull radon gas into the home through the pathways. 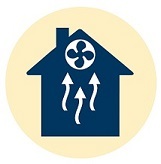 Homes commonly operate at a lower (negative) pressure compared to the outside air. This pressure difference creates a vacuum and outside air can be pulled into the home through openings like doors and windows. Some of this replacement air comes from the soil. There are three main components contributing to air pressure changes in the home that can bring in radon gas. Stack effect - Warm air rises to the upper portion of the home and is lost to the outside air. Make-up air enters the lower part of the home, and some make-up air comes from the soil. 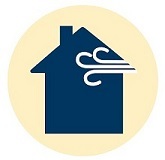 Down Wind Draft Effect - Strong winds can blow over the top of the home, pushing and pulling air into and out of the house. Vacuum Effect - Appliances (water heaters, fireplaces, clothes dryers, older furnaces, etc.) and exhaust fans remove air from the home. This can drive soil gas into the home as make-up air enters the lower part of the house. 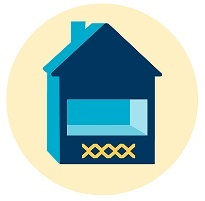 Any home can have a radon problem, no matter the type of foundation. A basement provides a large surface area in contact with the soil, and radon can enter through different pathways. Taller homes add potential for a greater stack effect. 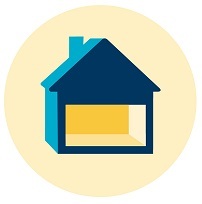 Homes built slab-on-grade have many openings that allow radon to enter, similar to a basement. Homes built with crawl spaces are directly connected to the soil and create a pathway for radon to enter the home. 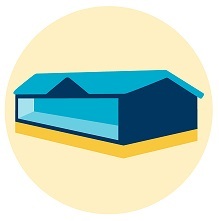 Manufactured homes with solid skirting act like crawl spaces and provide a direct connection to the soil.